Have you found yourself wondering what to do in Krabi, Thailand? Well, wonder no more – you’re in luck because we’re about to share our top 10 things to do in Krabi with you. 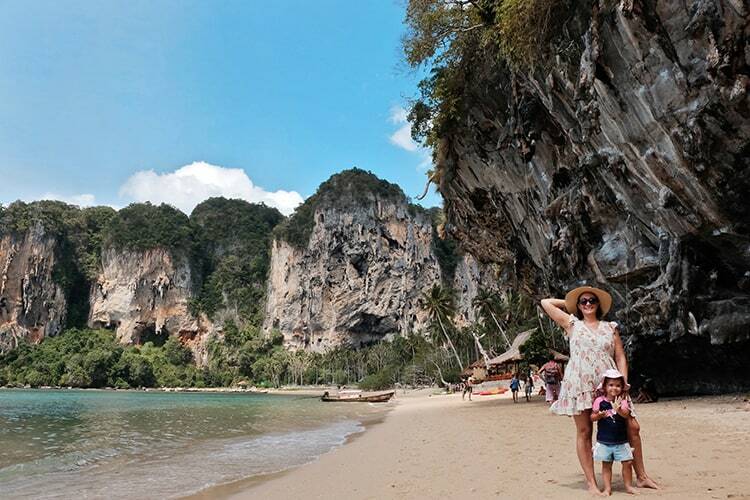 The magnificently beautiful Krabi island has so much to offer, from the most exquisite sandy shores to exciting night markets, there is something for every family to be found in this treasure trove of neverending fun. So, let’s get to answering that million dollar question: what to do in Krabi? 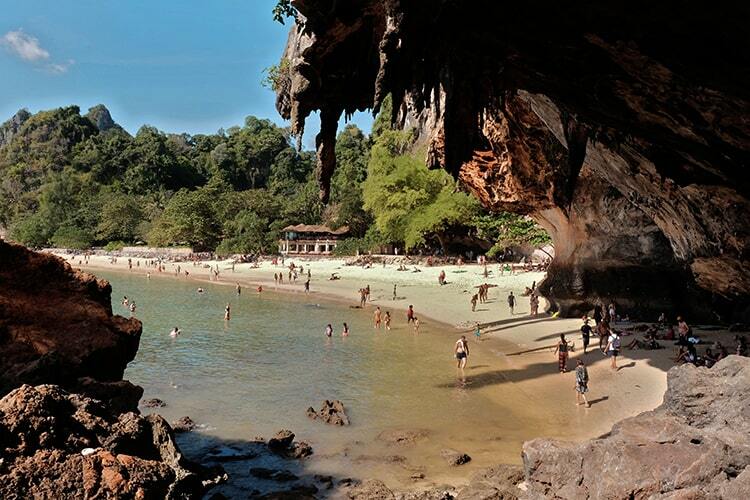 We have here the must-see places and traditional Krabi things to do during your trip. They are in no particular order, but so make sure you read all the way to the end. 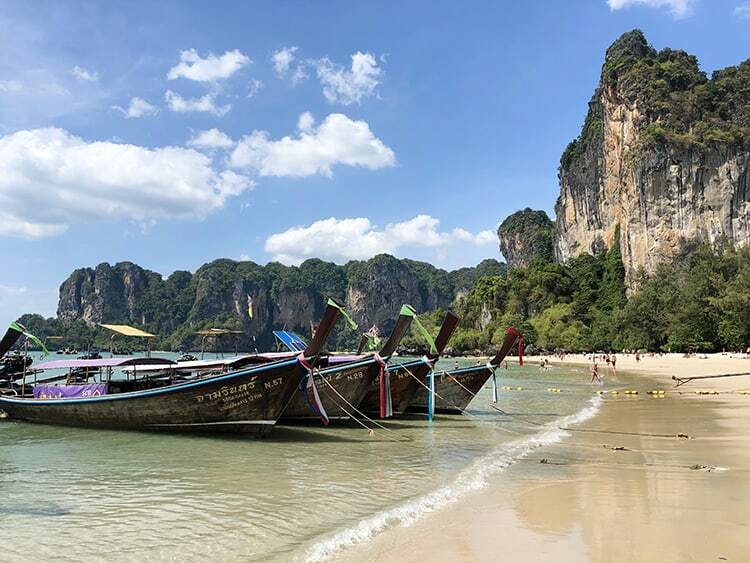 Railay Beach is one of Thailands most famous beaches, and honestly, it’s easy to understand why everyone falls in love with the limestone cliffs, clear blue water, and white coastline. One of the best things about Railay is that it is only reachable by boat, so it gave us the feeling that we had found a peaceful cove. 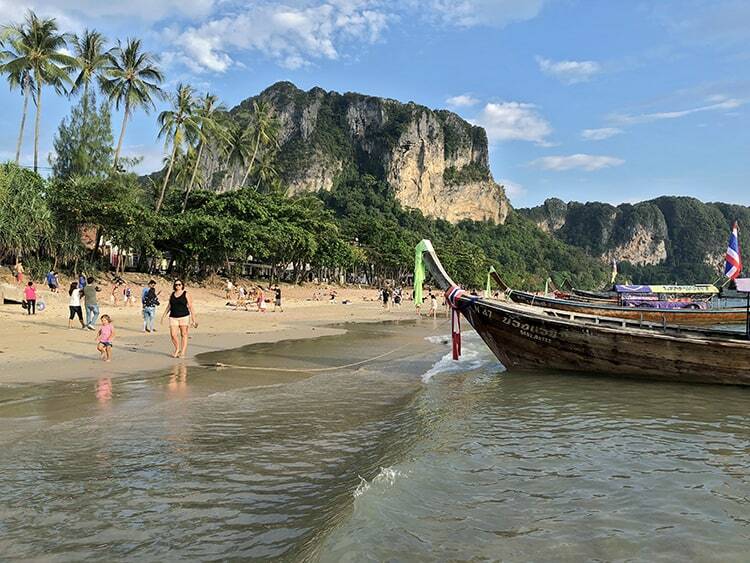 Railay is an entire peninsula of magical islands, but the main beach is the heart of them all. We love this great value tour from Viator. Book your spot on the Railay and 4-Island Sunset Cruise with Night Snorkel. Imagine a beach that is as fun as it is mysterious and beautiful? Well, that beach is Phra Nang Beach. The waters of Phra Nang Beach can be best rated for their calmness and cleanliness, making them ideal for long swims, and also perfect for small children. Scenic surroundings, perfect waters, shallow tides, aquatic creatures, and shade provided from limestone…Honestly, can it get any better? The islands surrounding Krabi each have something special to share, so spending a day traveling to each will be one of the most precious memories you can create during your travels to Krabi, Thailand. 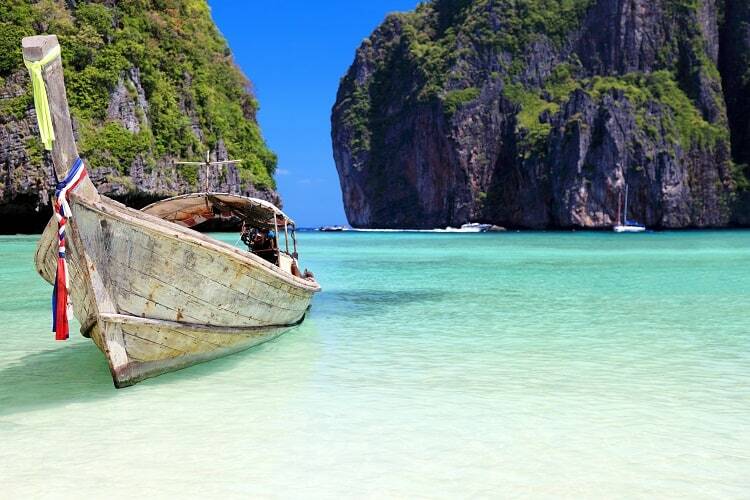 Beginning at Phuket, have an adventure of a lifetime and take a tour along the blissful Krabi coast. Sunbath of the white beaches, and soak up the tranquillity of Chicken Island, Tup Island, Poda Island and Phra Nang Cave. 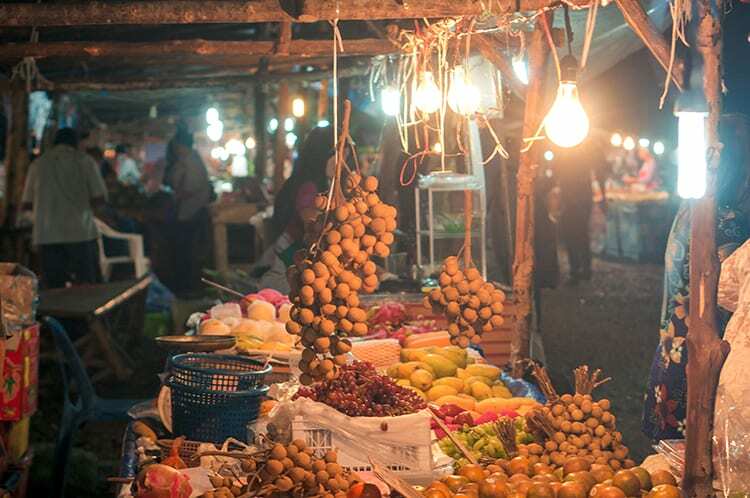 Enjoy the vibes and upbeat energy of the Krabi Night Market, and treat yourself to some authentic and traditional food. There is such a variety of colors, shapes, styles, and price within the vibrancy of this night market, we spent hours taking in each and every part of it. 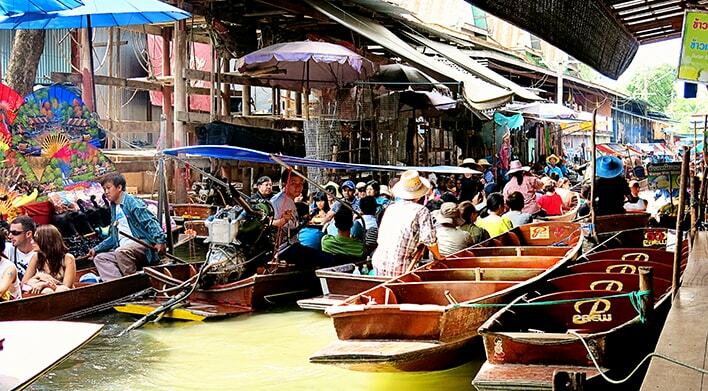 The locals are talented, spirited and full of stories to share, so it is also a wonderful opportunity to connect with others and learn about the spirit of Thailanese culture. This happening beach may be small, but there are big things to be enjoyed on the sandy shores! Ao Nang is scenic and popular. 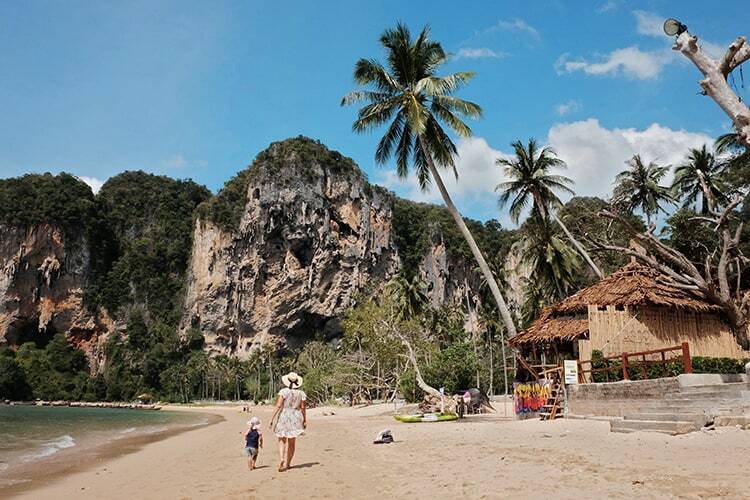 Au Nong may not be the most beautiful of Krabi’s beaches but it is definitely the most central. We found the water to be a bit muddy, so we didn't swim here, but we did enjoy our late afternoon strolls along the shore. The placid waters of the Emerald Pool are not only a captivating color of bright green but also are the best place to enjoy ocean water without the waves. The Blue Lagoon is only 400 meters away from The Emerland Pool, and although every cell in your body will want to dive right in, these waters are not meant for swimming. However, the rich color and occasional bubbles that make their way to the surface, certainly add a sense of ease to the mysterious atmosphere. 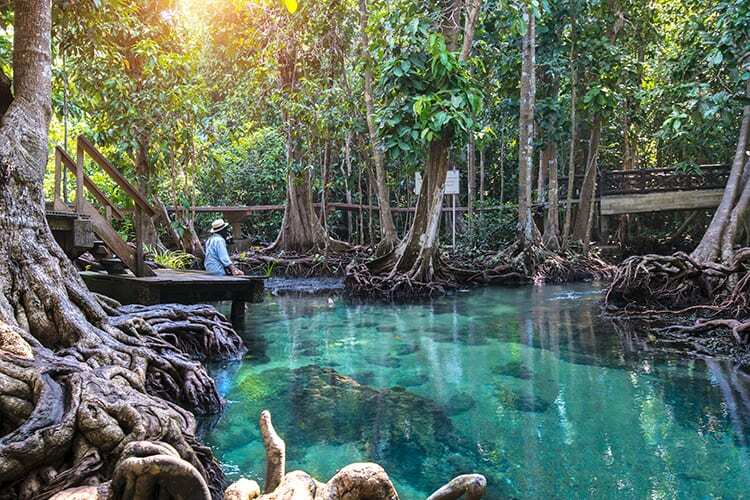 >>> Secure your spot to see Emerald Pool, Hot Springs and Tiger Cave Temple here. 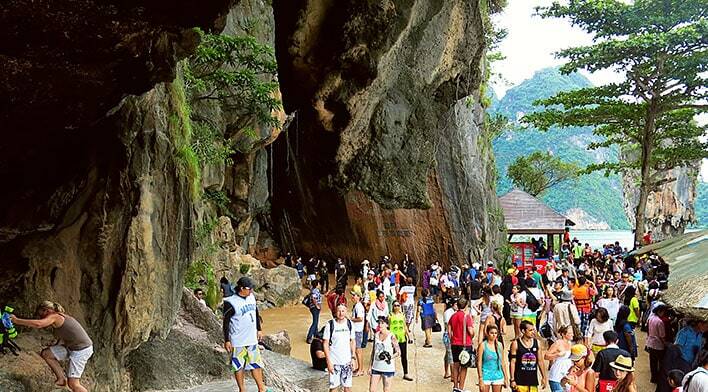 This beach is super popular for those who love rock climbing, and it is surrounded by dramatic cliff faces that overlook the stunning waters of Krabi’s ocean. Plenty of shade is provided here by scenic palm trees, and the sandy shores stretch out along the coast. Grab a kayak and enjoy exploring the beautiful surrounding area. This is the beach to be if you’re looking to enjoy without mass amounts of people around. This island is more commonly known as Khao Phing Kan or Ko Khao Phing Kan by the locals, and you won’t want to miss out on the chance to take a day trip to James Bond Island. Bask in the majesty of the famous limestone cliffs and towers, you won’t find ones that are more exquisite than at this island. I’m sure the name must have caught your eye. 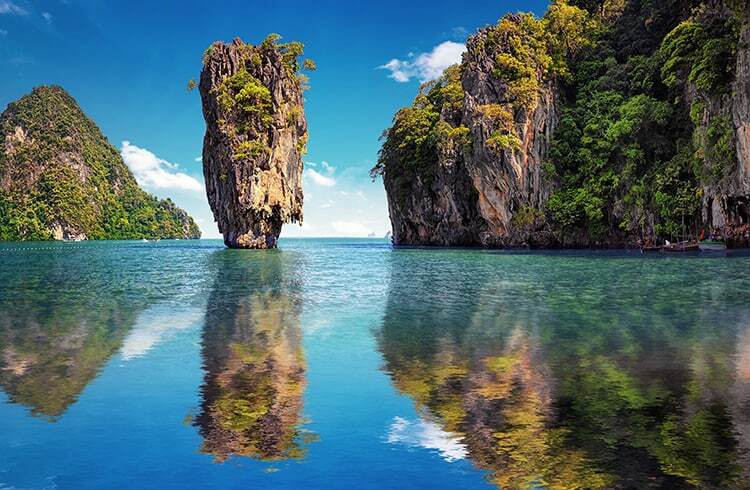 Since these massive attractions were seen in the James Bond movie, The Man With The Golden Gun, they have been popularly called The James Bond island. >>> Grab on a seat on this “MUST-DO” tour here. There is such an enchanting essence to these islands, and we feel that they are a must for everyone visiting the awe-inspiring coastline of Krabi. The Phi Phi islands are Thailand’s most famously beautiful, and despite the somewhat massive crowds, the oceans and island vegetation will take your breath away! Embark on a trip to the Phi Phi islands and let your heart soar as you watch the hues in the rippling turquoise water, and expanding white sand shorelines. Feeling outgoing and wanting to do something unique? Then you just have to go along for a Kayaking adventure at Hong Island. This tropical haven is wonderful for curious children (AKA – all children) and adults alike. Add to the zest by Kayaking and enjoying the mysterious waterways found within the islands dense vegetation, and keep your eyes peeled for exotic bird life. 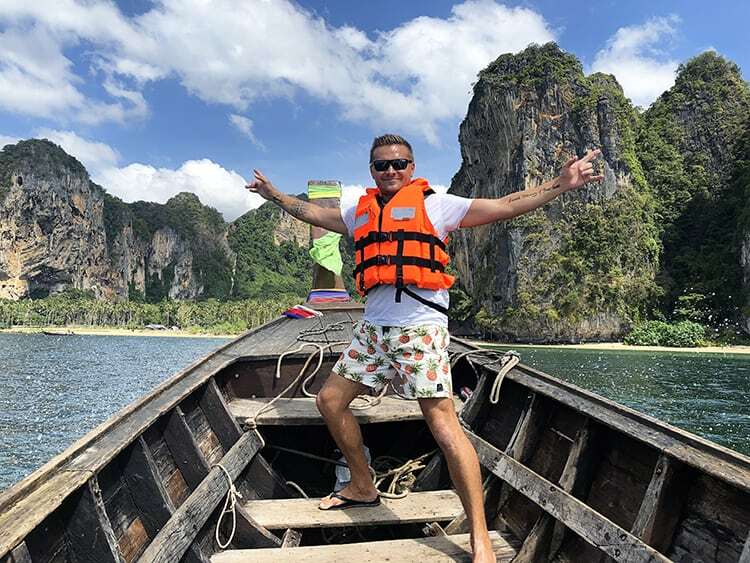 When considering which of the things to do in Krabi, you have such a vast array of playful, beautiful and unforgettable things to choose from. If you’re coming from Koh Lipe, then we have a guide on how to get to Krabi easily from there so you can continue your journey of paradise. And for those coming from Koh Lanta, here is a guide on how to get from Koh Lanta to Krabi for you. We have chosen the very best of adventures in Krabi so you can enjoy your time to the fullest. It is a magical place, with famous beaches, extraordinary sites, and exciting new places just waiting to be explored by you!